WATCH DOCS. Human Rights in Film International Film Festival is one of two biggest movie events dedicated to human rights presenting documentaries in which engagement to human rights protection is combined with cinematic art. The first edition of the Festival was organised in 2001 as a joint venture carried out by the Helsinki Foundation for Human Rights, Centre for Contemporary Art Ujazdowski Castle and Social Institute of Film. 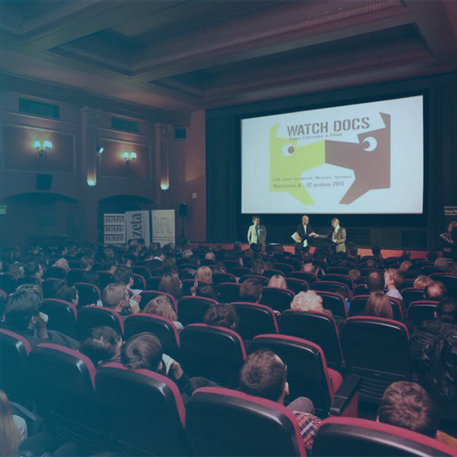 The name of the Festival is a play on words – ‘watchdog’ (an organisation monitoring administration) and ‘watch docs’. Visit the website of the WATCH DOCS. Human Rights in Film International Film Festival.